Each object in the exhibition has a hidden sound requiring discovery and animation. The ceramic materials have their own sonorous world included in an apparent fragility able to vibrate in the hands of those looking for it. Varying infinitely according to piece’s shape, thickness and dimension, the sounds of the porcelain, of the stoneware or of the clay are measured in Celsus degrees. Stoneware and clay have unmistakable sonorous depths, but the porcelain is just sublime. In China, the sovereigns of the Yuan (1279–1378) and, then, Ming (1368–1644) dynasties made triumph the translucent porcelain – that touch-sensitive “clay with a divine sound” – in the variants we know today. By exploring the ceramic material, some unsuspected surprises do appear – and herefrom comes out the story of the exhibition, which is not a common one. 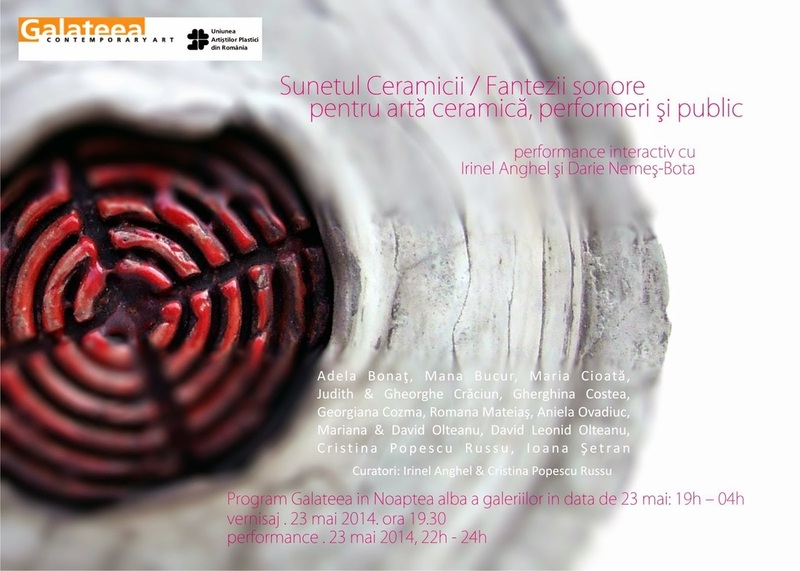 It’s a visual and sonorous exhibition where the shapes occasion encounters with original yet unique musical sonorities and constructions.